President Donald Trump and his administration have made their stance on immigrants quite clear, from racist rhetoric to the border wall. Most recently his administration proposed a significant increase in the time it takes for asylum-seekers to become eligible to receive a work permit — essentially doubling it from 180 days to 365 days. 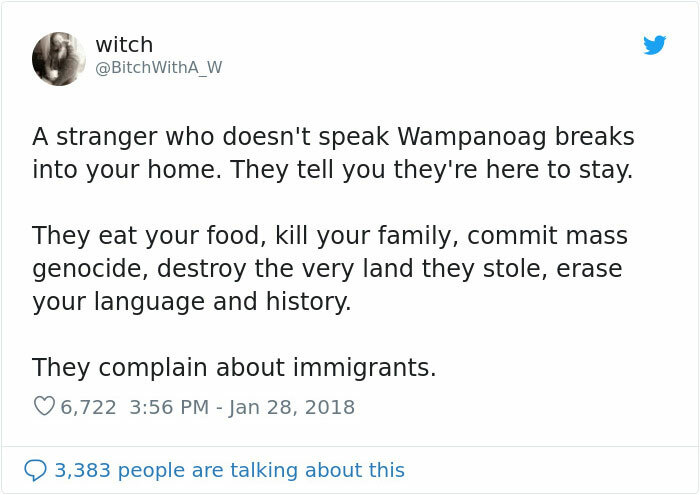 While many people understand those asylum seekers are escaping dangerous situations back in their home countries, others view them as invaders – like this Twitter user. 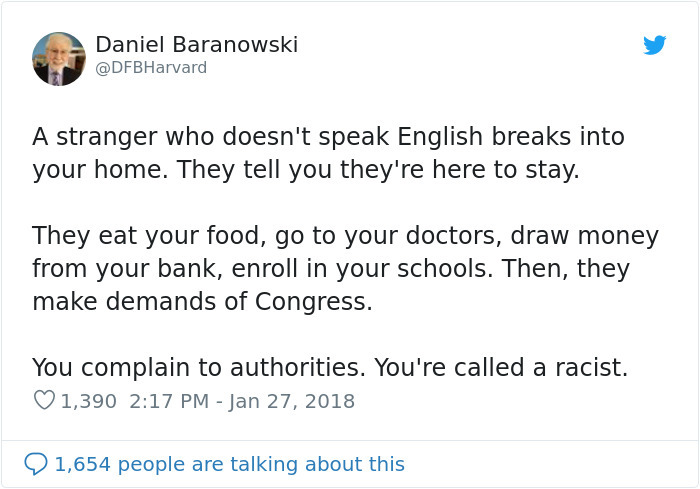 User @DFBHarvard tweeted out an explanation of immigration that compared immigrants to home invaders, while some may support his stance, another internet user was quick to call him out on the racist post using his own analogy. 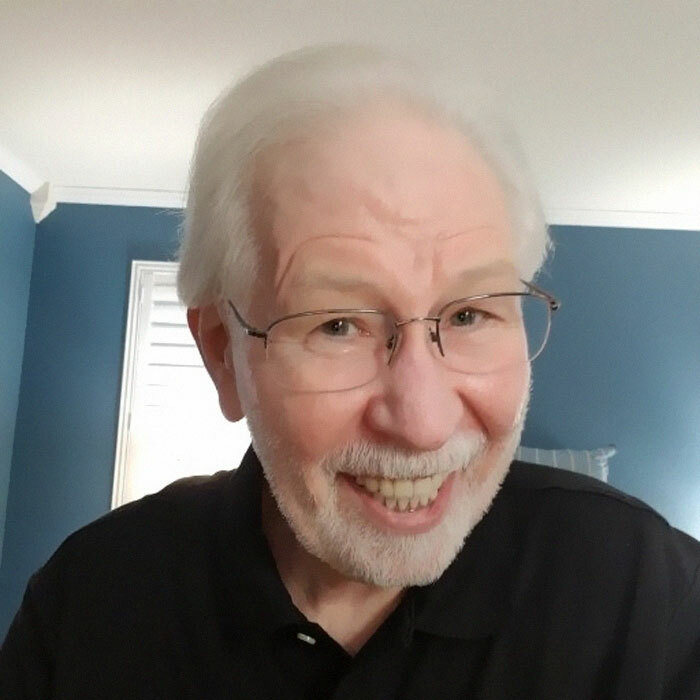 Baranowski is a retired professor in Healthcare Management & Policy as well as a conservative Trump supporter. 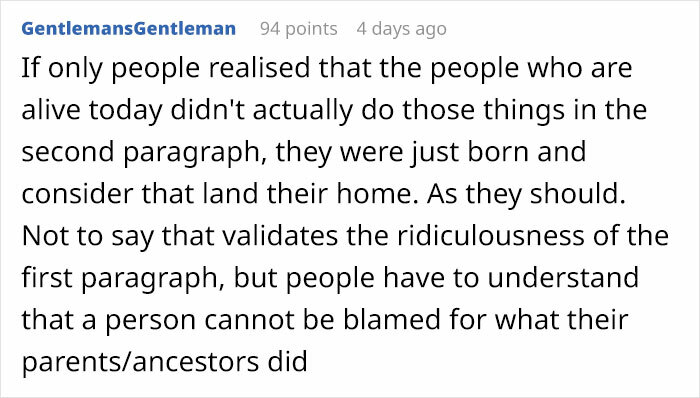 Despite listing himself as a historian in his bio, the former professor received a history lesson in “home invasion” from user @BitchWithA_W who beat him at his own argument. Wampanoag, means People of the First Light. They have inhabited the east coast of what is now Cape Cod and the islands of Nantucket and Martha’s Vineyard, to as far as Bristol and Warren, Rhode Island for more than 12,000 years. Today there are about 4,000-5,000 Wampanoag living in New England. The Wampanoag have three primary groups – Mashpee, Aquinnah, and Manomet. The Mashpee Wampanoag were re-acknowledged as a federally recognized tribe in 2007 and in 2015 the federal government declared 150 acres of land in Mashpee and 170 acres of land in Taunton as the Tribe’s initial reservation, on which the Tribe can exercise its full tribal sovereignty rights. 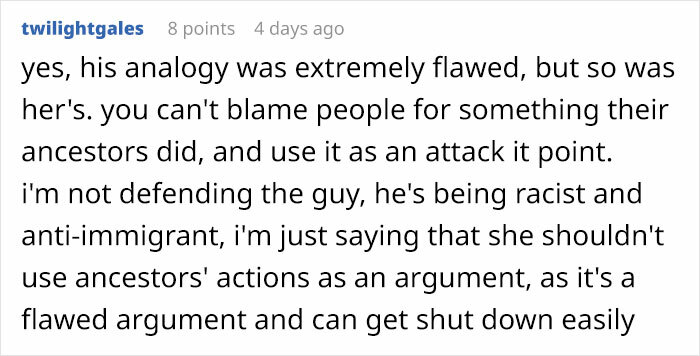 This Twitter user was not the only person to call out Baranowski. 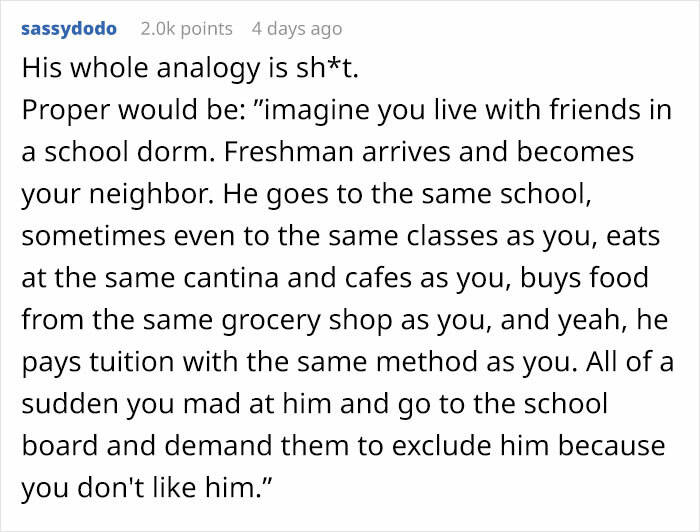 Someone did some digging and found that he had some immigrant roots of his own. 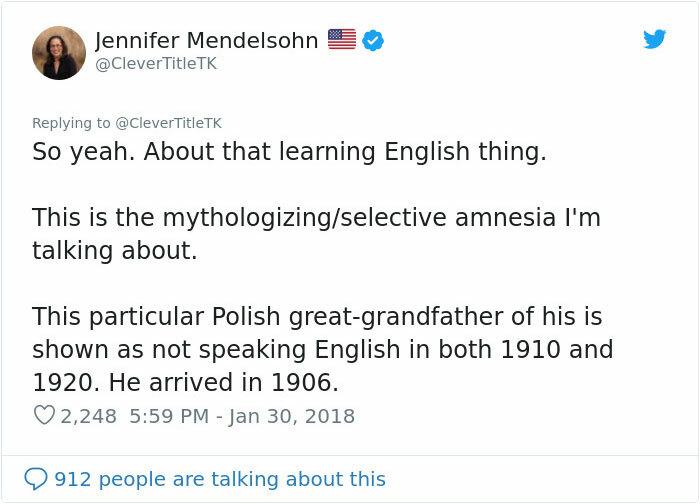 Journalist and genealogist, Jennifer Mendelsohn found and posted census records that showed the former professor’s great-grandfather was a Polish immigrant who, when he arrived, reportedly spoke no English. Polish immigration to the U.S exploded at the turn of the 20th-century due to imperial repression, land shortages, and chronic unemployment. 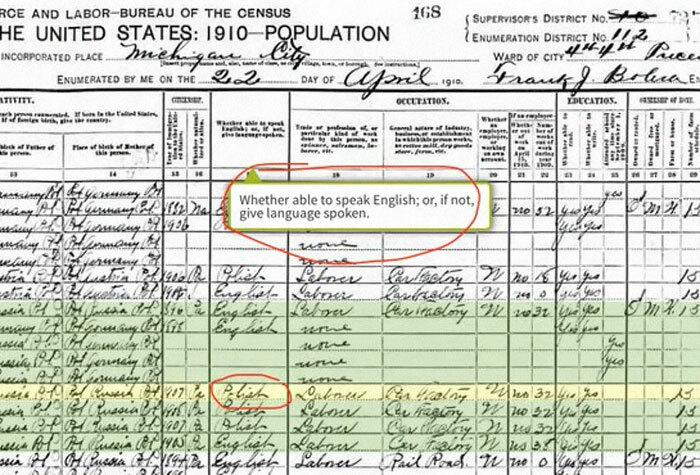 The 1910 census recorded more than 900,000 new immigrants who spoke Polish. It is estimated that more than 2 million Poles had immigrated to the country by the 1920s.